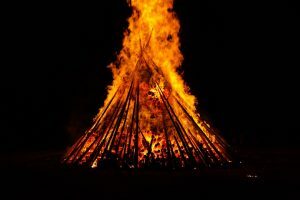 One of the most important old Slavic holidays is Kupala Night. It takes place on 21st of June. The celebration relates to the summer solstice when nights are the shortest and includes a number of Slavic rituals. Traditional jumping through burning fires in which aromatic herbs were burnt to purify and protect against evil and misfortune, or releasing wreaths with flaming candles into the river by young girls (which, in turn, constituted the divination of marriage), are just some of the most famous rituals of this night. A very famous custom was the search for fern flower. The perennial flowers – a symbol of happiness, wisdom, and prosperity, which according to legend only blossomed in the shortest night of the year – it is said that the only brave and righteous people are able to find it. 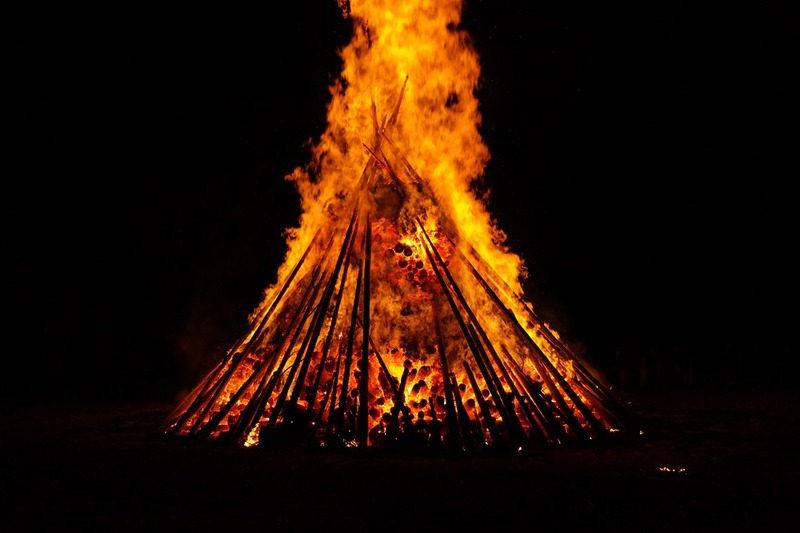 The night is a feast of unity – the combination of fire and water, sun and the moon, man and woman, and fertility. However, it is the old pagan belief, so the Church’s endeavors have finally led to the creation of the eve of St. John the Baptist on June 23rd. Assignment of St. John, who in the Christian tradition is associated with the baptism ceremony, perfectly fits with the rites of water. So in Poland, we celebrate a midsummer on June 23 or 24. The celebration starts at about 8:00 p.m. and lasts all night until sunrise. People celebrate this special day every year and call it also “Noc Świętojańska” which means St. John’s Night. PS. We found some information that on 24 of June takes place an apple tree blessing in Hertfordshire and Somerset. The fires are lit under trees in orchards to bless the apples. Previous Post:The Cold Gardeners and Cold Sophia are coming. Be prepare!